The nature of the power establish ed by the temporal chiefs of the Sikhs, has been sufficiently explained in the narrative of their history. 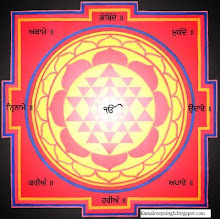 It will be necessary, before any account is given of the forms and actions of their Guru-mata, or great national council, which is intended to have a supreme authority over their federative reposed, by the Sikhs, to have a mystical meaning, and to imply that superior government, under the protection of which " they live, and to the established rules " and laws of which, as fixed by Guru Govind, it " is their civil and religious duty to conform." public, to take a view of that body of Acalis, or immortals, who, under the double character of fanatic priests and desperate soldiers, have usurped the sole direction of all religious affairs at Amritsar, and are, consequently, leading men in a council which is held at that sacred place, and which deliberates under all the influence of religious enthusiasm. * Acah, derived from Acal, a compound term of col, death, and the Sanscrit privative a, which means never-dying, or immortal. It is one of the names of the Divinity; and has, probably, been given to this remarkable class of devotees, from their always exclaiming Acal! Acal! in their devotions. or bracelets of steel*, round their wrists, initiate converts, and have almost the sole direction of the religious ceremonies at Amritsar, where they reside, and of which they deem themselves the defenders; and, consequently, never desire to quit it unless in cases of great extremity. Serv lobji di sada rach'ha ham no. which may be translated: " The protection of the " infinite Lord is over us : thou art the lord, the cut" lass, the knife, and the dagger. The protection of " the immortal Being is over us: the protection of " All-steel is over us: the protection of All-time " is over us: the protection of All-steel is constantly " over us." This order of Sikhs have a place, or Bunga*, on the bank of the sacred reservoir of Amritsar, where they generally resort, but are individually possessed of property, though they affect poverty, and subsist upon charity; which, however, since their numbers have increased, they generally extort, by accusing the principal chiefs of crimes, imposing fines upon them; and, in the event of their refusing to pay, preventing them from perfonning their ablutions, or going through any of their religious ceremonies at Amritsar. 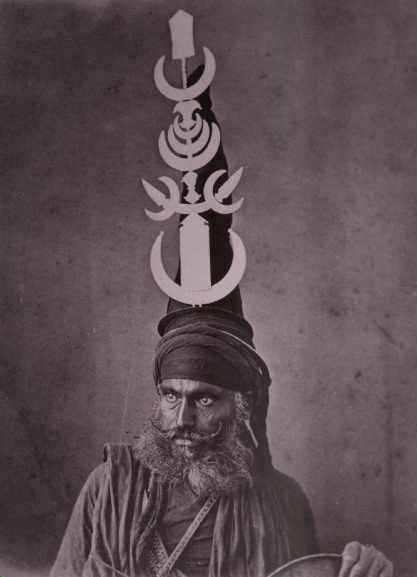 It will not, when the above circumstances are considered, be thought surprising, that the most powerful of the Sikh chiefs should desire to conciliate this body of fanatics, no individual of which can be offended with impunity, as the cause of one is made the cause of the whole; and a chief, who is become unpopular with the Acalis, must not only avoid Amritsar, but is likely to have his dependants taught, when they pay their devotions at that place, that it is pious to resist his authority. * The Shahid and Nirmala, two other religious tribes among the Sikhs, have Bungas, or places, upon the great reservoir of Amritsar; but both these are peaceful orders of priests, whose duty is to address the Deity, and to read and explain the Adi-Grant'h to the Sikhs. They are, in general, men of some education. 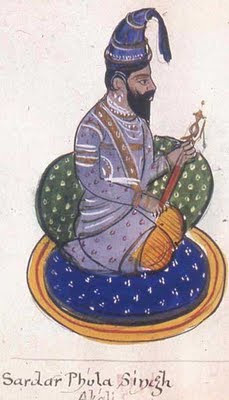 A Sikh, of any tribe, may be admitted into either of these classes, as among the Acalis, who admit all into their body who choose to conform to their rules.